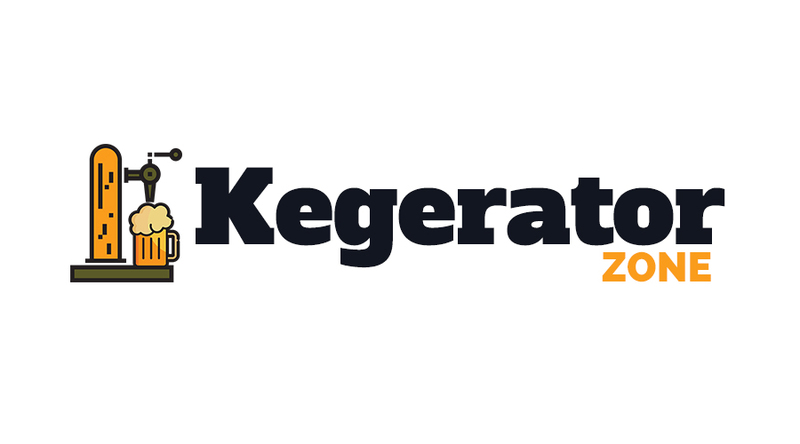 Many have wondered about the kegerator in general, but exactly what is it? The kegerator is a small refrigerator type unit that holds a keg and dispenses draft beer. The beer keg is kept in a cooled environment so the contents of the keg will be chilled at all times. Kegerators also allow beers to retain their freshness for a longer period of time. Full sized kegerators often have a pressurized CO2, or carbon dioxide tank and a coupler to drive the beer out of the keg and to a spout so that the beverage can then be dispensed. The unit comes in a variety of styles and sizes and you can customize it with accessories to suit your needs. In order to get the best kegerator, you will need to know the essentials about the machine. This article will explain them all. These two are the most crucial components of the device. The carbon dioxide gas aids the beer by pushing it upward and out of the tank and into the spout. The gas coming from the tank is monitored by a gauge. This gauge can be a single or a double gauge. Tanks for the device often come in various sizes. The carbon dioxide circulates down the gas lines through a CO2 inline filter then straight into the keg. The keg for beer is different from kegs that contain soft drinks or sodas. It has a ball lock fitting while ones used for sodas have a pin lock fitting. Carbon dioxide has 2 fittings while the beer has 3. It is not advisable to change the fitting in a differing manner since it can be risky. Fittings are also produced carefully so users will not connect the hook to the hose the wrong way. As soon as the beer is pushed, it goes to the draft beer lines then into the shank and lastly the spout. The shank is the mounting assembly for the spout. It links the beer line and the spout. The spout should be capable of meting out beer bit by bit. 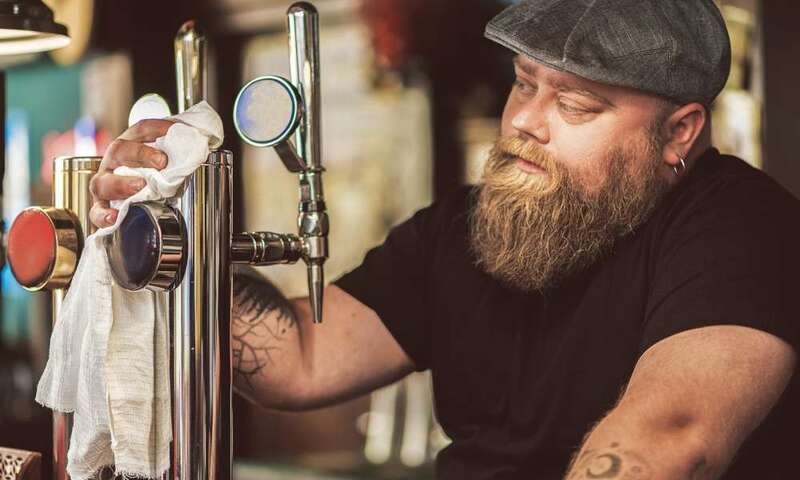 Using a small tube line can stop the beer from foaming as it is being dispensed. As mentioned earlier in this article, kegerators come in different styles. The following are some of the kegerators that are available on the market today. The full-size kegerator is meant for home use and it can accommodate up to a full or half-barrel keg of draft beer. This is usually a standalone unit, but there are also under-counter units and built-in units. It comes with a CO2 tank and a coupler in order to mete out beer. The mini kegerator is a countertop device and is self-pressured. It can accommodate a smaller 5-liter keg of beer. This equals to fourteen 12 oz. cans or beer. The manufacturer recommends these units for keeping keeping beer in confined spaces. Minis can be tapped 2-4 times. Commercial kegerators are the same as full-size kegerators but they are built to meet commercial standards. Lots of commercial kegerators are designed to be standalone units or built-in/under-counter set-ups. It is perfect for those who want to build their beer system into a regular height fixture. Commercial kegerators can accommodate full-size kegs, quarter barrels or mini kegs. Outdoor kegerators are designed for outdoor use. They are capable of operating in temperatures from as high as a hundred degrees Fahrenheit or as low as 45 degrees. They are suggested for individuals who want a beer kegerator in settings more than 85 degrees or below 50 degrees. They are ideal for areas like the back porch, garage, and even the basement. Maintaining the cleanliness of the kegerator is crucial to the beer’s overall freshness and taste. While some might think that it is not that imperative to clean the container before placing the beer in it, cleaning is actually an important step in guaranteeing that the device will still function excellently after every use. The taste of the beer can be altered easily by a dirty, unwashed keg. Make sure that you allow some time in your schedule for kegerator cleanup. Beer is actually the kegerator’s weakness. 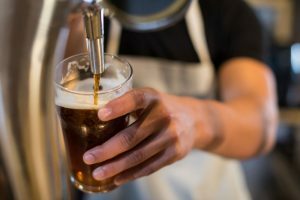 The beer lines that allow the beverage to travel from the keg down to the glass can contain some beer in it after it is used. 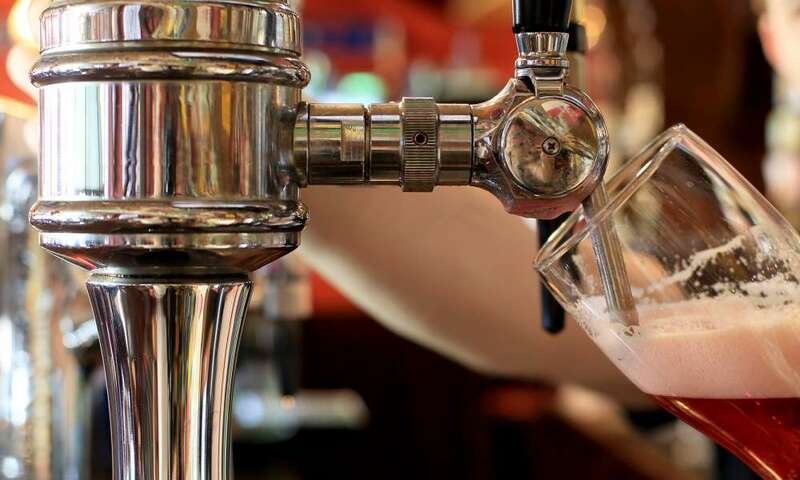 If there is extra beer remaining in the lines, it can spoil and lead to bacterial growth. Once this takes place, the next keg of beer will have a funny taste to it. It can even lead to the very unhealthy and bad-tasting beer which is not fit to be consumed at all. 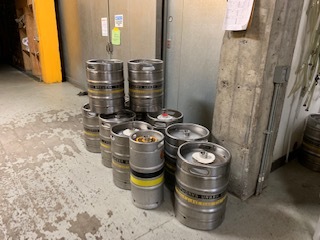 Hence each time a keg runs out, you have to clean the unit, the keg, and the lines meticulously. You should perform the cleanup before the beer has the opportunity to settle and remain in the lines for an extended period of time. If the unit is resting for extended periods of time between kegs, clean it again prior to tapping the new keg. Cleaning the kegerator is pretty simple. The insides of the machine do not require a thorough rubdown since it does not get very grimy. You can just wipe everything down with a gentle cleaner and a cloth. If the product has special requirements regarding cleanups, you will want to follow the manufacturer’s instructions for maintenance. There are also cleaning kits available that will make the whole procedure even easier for you. Although they can be a bit expensive, this is a nice option for those who are not yet sure on how to clean a kegerator properly. There are also beer line cleaners available. You have to propel the cleaner throughout the lines by means of CO2 or a hand pump. You have to use a non-abrasive detergent for cleaning the unit, too. 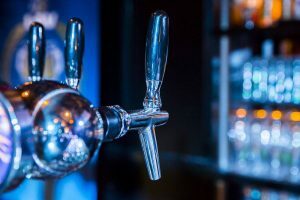 Use a soft sponge or cloth on the item and avoid using steel wool and scrubbing pads on the insides of the kegerator because it can cause minuscule scratches on its interiors. These scratches will serve as spots for bacteria to cling to and it can lead to a beer that tastes odd and unappetizing. As soon as you clean the keg, the next step is to sanitize the item. You can make use of products that are made for this purpose. Propel the sanitizer throughout the lines by means of CO2. Make sure that you read the instructions prior to proceeding with this step though. You may have to flood the lines with water before circulating beer into the item. This will help prevent the possibility of odd tasting beer. Before buying kegs of beer, make sure that you have read the instructions from the manufacturer. Kegs are not exactly cheap. This article has covered the basics and now let’s take a look at some of the brands available. The best kegerator for you is something that will cater to your needs or preferences. Do you want to have a pint or two at home by yourself or with a few friends? Or do you want to hold regular parties for a bigger crowd? Choosing the kegerator that suits your preferences will result in a better investment. Read up on the following models and choose the one that corresponds with your needs. A kegerator with excellent quality will maintain the freshness of your beer for an extended time and it will run efficiently. The Full-Size Kegerator from Edgestar has a decent storage capacity and has a great design overall coupled with a number of beneficial features. It can be used at home and commercial establishments and it comes in a nice black stainless steel façade. It can contain US standard 1/4 and 1/2 but cannot accommodate Miller, Coors or rubberized and oversized kegs due to its smaller size. It can reach temperatures settings in the lower 30s which makes this model more distinctive than others on the market. The model includes detachable wire-coated shelves which can be converted into an automatic defrost fridge. It also comes with its own aluminum CO2 canister which needs to be filled up as soon as it’s empty plus an easy-to-understand pressure gauge. Other components that come with the unit include a chrome safety rail, caster wheels, protective floor plate and a 2-piece drip tray. All parts of the kegerator were made in the US and are NFS-certified. The Kegco Digital Kegerator has a roomy storage capacity and it can contain half kegs, full sized kegs, ponies, 1/4 barrels, 5-gallon jugs, rubberized kegs and kegs from Coors and Miller. This is a standalone unit and features a striking black matte design with a stainless-steel door. The unit includes a digital temperature display plus a push-button control that allows users to set the keg’s temperature. Temps can range between 32-75 F, which is one of the widest ranges on the market right now for a kegerator. For a steady, even temperature throughout, the unit includes a fan-forced cooling system. It also features the Deep Chill function to cool down lukewarm beer kegs in a faster manner. The kegerator can also be changed into a fridge and includes two adjustable shelves that are meant just for conversion purposes. 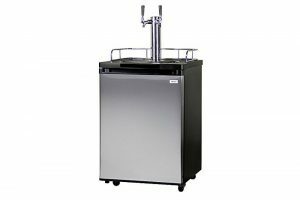 The unit comes with a chrome guard rail to stop glasses from slipping off of its top, an all-inclusive 2-keg direct-draw setup, a drip tray, locking casters and all the required parts. The Full-Size Dual Tap Kegerator from Edgestar is a nice supplement to your home, the restaurant or any commercial establishment. 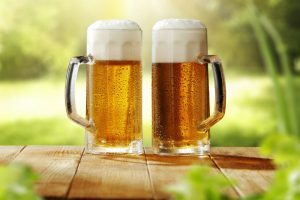 If a tall, cold mug of beer makes you happy, why not have it in your home all the time without relying on cases and six-packs? You can do so with a kegerator. This particular unit from Edgestar can hold the majority of full-size kegs, slim quarter kegs, pony kegs and even 2/6 barrel kegs. It weighs 81.6 lbs. and it measures 48 1/2 x 20 1/10 x 24 13/16 including the height of beer tower. 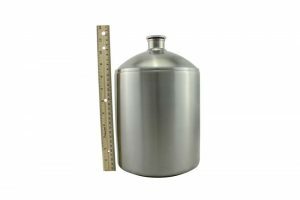 The model is capable of achieving low-temperature settings and it comes with an aluminum CO2 canister which has to be filled plus a pressure gauge. It can serve as a makeshift fridge, too. It includes a chrome safety rail, a 2-piece drip tray plus rolling casters for easier mobility. All the needed hardware that comes with the unit are approved by the NSF and made in the US. The Midea WHS-199BSS1 features a capacity of 4.9 cubic feet and has a refrigerator function that operates by way of reflex control. It also features a black beer tower and a sleek stainless steel door with a black cabinet within. It has a well-designed drip tray situated inside the unit to gather drips and is removable for easier disposal of excess water. It is backed by a 2-year warranty and operates up to 120 volts. It weighs 81.6 lbs. and measures 24.8 x 20.1 x 33.7 inches. 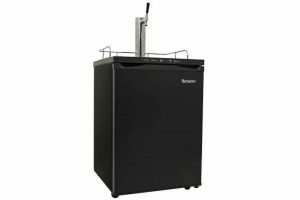 The model is a comparatively good kegerator option with a lineup of features and functions that beer enthusiasts would appreciate at a reasonable price. It requires simple installation, has a decent storage capacity and a worthwhile design that can complement modern interiors. It can be converted into a roomy fridge as well which makes the whole ensemble a nice investment. But the device does show some drawbacks like the noise it produces and other minor issues. If you can deal with these issues though, the Midea WHS-199BSS1 kegerator is still a good option. 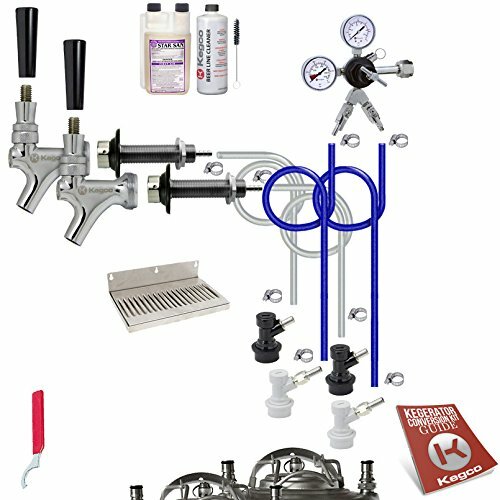 Keggermeister’s KM2800BK is something you should check out if you are searching for a good kegerator for personal draft beer consumption and throwing parties. This is a single tap model and is considered by some beer enthusiasts as one of the best units being sold right now. The kegs remain chilled at their optimal best and the beer maintains its freshness for up to 3 months. This is an excellent investment due to its capability to retain the freshness of beers for a longer period of time. It comes in a striking, sleek all-black façade which can complement any modern kitchen or space without clashing with the set décor. It also comes with a completely adjustable temperature control so users are guaranteed that the taste and quality of their favorite beverage is wholly safeguarded by the unit. It has a durable top and includes a chrome guardrail to protect glasses and mugs. It requires easy temperature adjustments and checking plus its 80 lbs. weight makes moving the item around a breeze. Choosing the best kegerator means you have to first know the basics concerning the product before making a purchase. That way, you can be sure that what you are going to get will rightfully fulfill your needs. There is a wide availability of the item on the market so selecting a good one is easy.